Lexus, aiming like many automakers to pump some excitement into the lackluster car market, is giving the redesigned LS 500 flagship sedan some sporty bells and whistles just months after its introduction at the Detroit auto show. 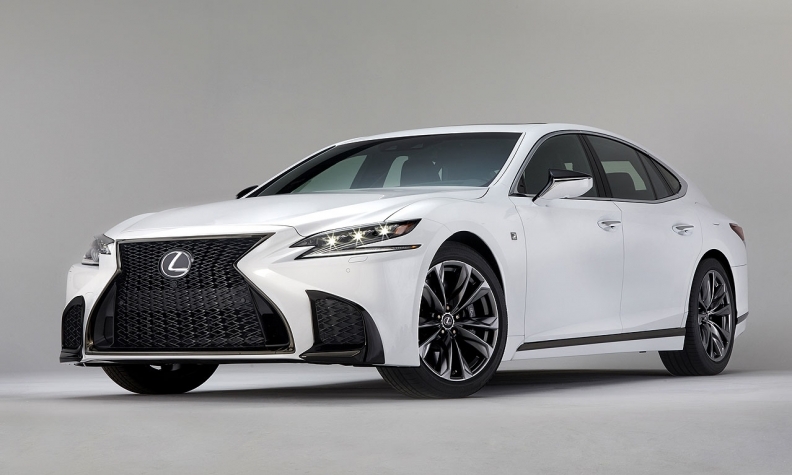 The Lexus LS 500 F Sport adds styling cues such as a tweaked grille, rocker panel, trunk moldings, 20-inch wheels and lots of F Sport badges inside and out. Lexus presented the F Sport version of the redesigned and re-engineered LS 500 Tuesday at the New York auto show, with a long list of cosmetic touches and a few performance tricks. “For those looking to really stand out, Ultra White is offered as an F Sport-exclusive exterior color,” the company said in a statement. Canadian sales of the LS dropped 23 per cent in 2016 from the previous year and dipped by just one per cent in the first quarter of 2017. 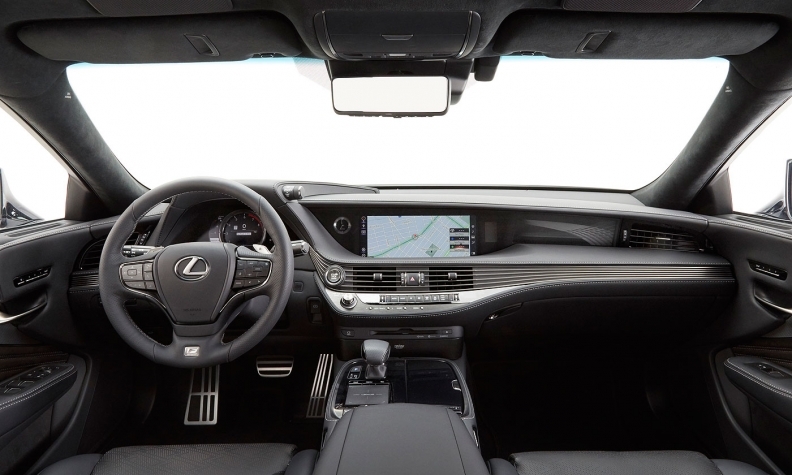 Inside the cabin of the LS F Sport, the trim upgrade includes an exclusive front driver’s seat, a perforated pattern on seating surfaces, aluminum trim elements and an upgraded steering wheel. “Ultrasuede in the seats and the headliner is the crowning touch,” the company added. The sport trim is available on the gasoline model -- featuring a twin-turbocharged V-6 engine putting out 415 hp -- and the nonturbo V-6 in the hybrid model. The hybrid puts out 354 hp including its two electric motors. Engine power for the F Sport models is the same as for the standard LS 500 and hybrid LS 500h. On the performance side of the trim package, upgrades come in the form of more aggressive wheels and tires, larger front and rear brakes, plus an optional F Sport handling package exclusive to the gasoline model. That package equips the LS with variable-ratio steering, active rear steering, an active stabilizer and a sport-tuned air suspension with height function. Lexus provided no pricing on the F Sport trim or the optional handling package. 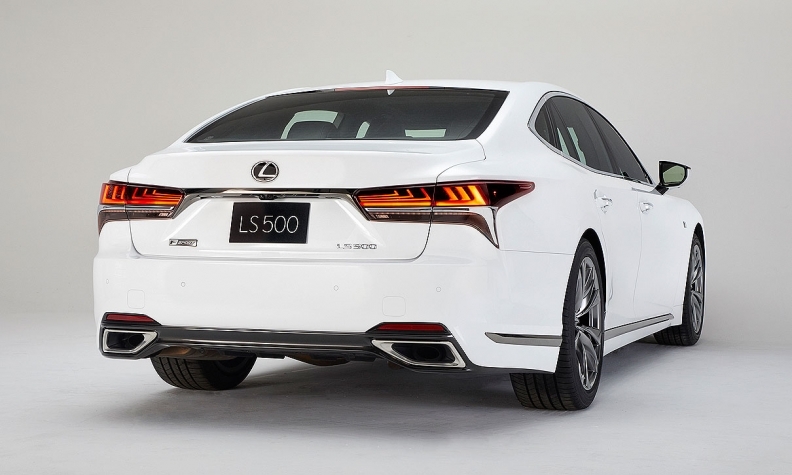 The 2018 LS 500 was unveiled in January at the Detroit auto show. The sedan is all-new from the ground up, riding on a version of the new global architecture for luxury vehicles from the new LC 500 coupe. The LS will hit showrooms toward year end. Pricing hasn't been announced.